Surgery for skin cancer involves wide resection of the tumor, often with the aid of a histopathologist and frozen section. You may require reconstruction with the use of a graft or flap of adjacent skin in order to ensure coverage and minimize visible scarring. You may engage in light activity the day after your surgery. A return to more normal activity may take 1-2 weeks. Your appearance will gradually refine over the following 6-8 weeks as the scar heals; secondary procedures may be recommended to further improve your results. Proper skincare and sun protection are essential during healing to maintain your results and skin health. The final results of your scarring will only be evident at 9 months to 1 year. The three most common types of skin cancer are Basal Cell Carcinoma, Squamous Cell Carcinoma, and –the most dangerous of the three – Melanoma. Melanoma is certainly the most feared skin cancer, and it also has the highest mortality rate. Fortunately, Melanoma is still relatively uncommon compared to Basal Cell Carcinoma and Squamous Cell Carcinoma, but incidence is rising at a rate of approximately 33% for men and 23% for women from 2002 to 2006. Melanomas typically present in the form of unusual moles or a suspicious, pigmented lesion. Initial diagnosis is done via a biopsy, where all or part of the suspicious lesion is removed for analysis. Surgery remains the primary treatment for Melanoma. Your doctor may discuss and/or advise that you undergo Sentinel Lymph Node Biopsy (SLNB), depending on how deep the melanoma is. There are currently many exciting developments underway when it comes to drugs used to treat Melanoma, including drugs that stimulate the body’s own defenses in order to destroy cancer cells (called immunotherapy) and drugs that target specific pathways the cancer cell uses to grow and replicate (known as targeted therapy). There are several cancers that fall under the broader category of Non-Melanoma skin cancers, but Basal Cell Carcinoma and Squamous Cell Carcinoma are the two most common types, with Basal Cell Carcinomas (BCC) being roughly 4 – 5 times more common than Squamous Cell Carcinomas (SCC). BCC usually presents in the form of a small, pearly or waxy bump on your skin, often resembling a pimple or a small pinkish (or flesh-toned) mole, while SCC usually appears as a red, scaly patch or wart that may ulcerate or bleed if scratched. Although Non-Melanoma skin cancers are considered less dangerous than Melanoma in that they are less likely to result in fatality, they are locally destructive and can result in disfigurement and damage to critical facial structures, such as the eyes and ears. And especially in the case of Squamous Cell Carcinomas, can spread to distant lymph nodes. They can also be more challenging to remove, since they are often large in size and occur more frequently on the face than Melanomas. The primary goal of treatment for skin cancers is the complete removal of the tumor, which is usually done via surgical excision performed by a plastic surgeon, general surgeon, dermatologic surgeon, or GP, depending on the location and size of the tumor. The aim is to remove (or excise) the tumor in its entirety, so as to reduce the risk of recurrence while preserving as much tissue as possible. Mohs surgery is considered by many to be the gold standard for surgical excision and involves analyzing the excised tissue during the operation to ensure that all the cancer is excised. This is a much lengthier technique than standard surgery and therefore the costs are higher and this may not be covered by your medical aid. There are also very few surgeons trained in Moh’s surgery in South Africa and for the most part it is used to resect cancers near critical structures such as the eyes, ears, nose and lips or recurrent skin cancers on the face. Standard surgery involves excising the skin cancer with a cuff of normal tissue to ensure complete removal and then analysis in the lab afterwards to confirm complete removal. If the skin cancer has not been removed completely then you may need to return to theatre for repeat surgery. For this reason many surgeons will use a pathologist skilled in frozen section to confirm that the skin cancer has been excised whilst the operation is in progress, to decrease the chances of incompletely excising the skin cancer. In certain circumstances, such as, large, in-situ (non-invasive) Melanomas, early BCC’s, or when patients are high risk for surgery, non-invasive treatments can be tried i.e. Radiotherapy curettage, cryosurgery and other topical treatments. Closure after excision generally involves bringing the edges of the skin together directly, rearranging tissue locally (known as a ‘local flap’), or using a skin graft to close the defect. When it comes to the face, even small lesions can become problematic, due to the proximity to sensitive and critical facial structures, such as the eyes, nose, lips, and ears. 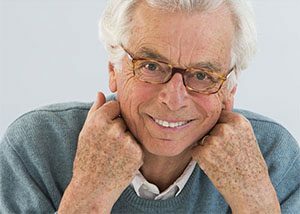 Resection is usually followed by reconstruction (which can be complex), often involving some rearranging of tissue surrounding the resection so that scars are hidden in the natural contours of the face, while critical structures are reconstructed to minimise any disfigurement or functional deficit. Fortunately, advancements in plastic surgery reconstruction techniques mean that surgeons can be more aggressive when cutting away tissue, safe in the knowledge that there are more possibilities for reconstruction. The surgery may be performed under local anesthesia, sedation, or with general anesthetic, once again depending on the size and location of the tumor, as well as the condition and the age of the patient. Excision is usually a day case surgery, but in cases where more extensive reconstruction is required, patients may need to stay in hospital overnight. A fair amount of downtime can be expected, with bruising taking roughly 10 – 14 days to settle, while swelling may take longer, finally subsiding after approximately 3 – 4 weeks. Procedures performed around the eyes and on the forehead result in more significant swelling around the eyes, but this usually settles quickly. Wounds on the face are usually fully-healed within 2 – 3 weeks, while wounds on the body may take a little longer (roughly 3 – 4 weeks), with skin grafts on the lower leg sometimes taking longer to heal, depending on how good the blood supply is. Scars can sometimes be red and raised while healing, and can take around 9 – 12 months to mature fully. Fortunately, scars in elderly patients usually heal very well and are hardly noticeable with time. Once you have been diagnosed with skin cancer, you’re at a high risk of developing a second skin cancer. Studies have shown that there is a 30% risk of having a second primary Squamous Cell Carcinoma within 5 years after therapy for the first malignancy (Cutaneous Squamous Cell Carcinoma. N Engl J Med. 344: 2001; 975 – 983), so lifelong follow-ups and skin checks are essential. When it comes to prevention, it’s estimated that regular application of a sunscreen with SPF15 or higher for the first 18 years of life could reduce the lifetime incidence of Non Melanoma skin cancers by 78%, so it’s vital that you ensure that you children are protected from the sun’s damaging UV rays at all times. Once a person has had more than 5 sunburns the risk for melanoma doubles, whereas regular daily use of a sunscreen with an SPF15 or higher can reduce the risk of developing Melanoma by roughly 50% (and the risk of developing Squamous Cell Carcinoma by approximately 40%). When it comes down to it, there really is no reason not to apply sunscreen on a daily basis – it could greatly reduce your chances of developing both Melanoma and Non Melanoma skin cancers, and could end up saving your life.